The Los Angeles Orpheum Theatre is the last of four Orpheum Theatres built in L.A. Situated at 842 South Broadway, downtown Los Angeles, it is near the southern end of Los Angeles' Historic Core theatre district. Built in 1926 for Vaudeville but closed briefly during the Great Depression, the Los Angeles Orpheum Theatre is owned and operated by Steve Needleman of ANJAC Fashion Buildings as a special events venue. Contact Orpheum General Mangager Christian Andrade via the L.A Orpheum Website for information on theatre availability. The theatre is open for bookings after an architecturally sensitive 3 million dollar renovation. Items upgraded include new air conditioning, audio systems and fly system, electrical facilities, parking improvements and restroom expansion. Careful attention was paid in returning the theatre to its original color scheme, retention of the original floor plan, and restoration of the beautiful marble in the lobby. Even the roof sign restoration included retention of its original incandescent lamp lettering.. This work crowns and completes restoration efforts underway for years by many devoted to preservation of this theatre. This beautiful theatre was featured in a Theatre Historical Society Of America convention in late June 1998 and again in 2005. 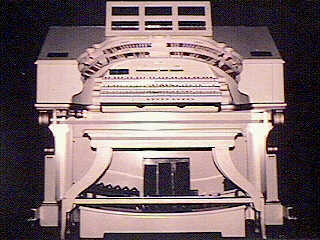 The organ is an original installation Wurlitzer, Style 240 Special, Opus 1821, shipped 12/23/27. 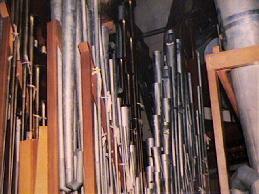 Originally 13 ranks, an added Post Horn makes the total for this 3 manual organ 14 ranks. This is one of only 3 remaining original theatre organ installations in theatres in Southern California. 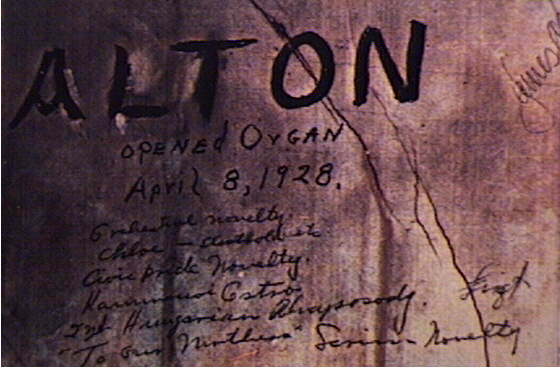 Organist Newell Alton wrote his dedication program for this instrument on the inside of the Solo chamber wall, dating it 4/8/28. Some of his concert selections include "Orchestral Novelty, Chloe - Electrola etc, Civic Pride Novelty, 2nd Hungarian Rhapsody". Organist James S. Roseveare also penned his signature on the Solo chamber wall, dated 5/18/76. Many consider this organ to have a beautifully cohesive ensemble sound. 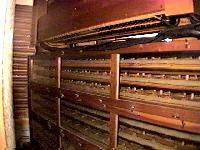 The original Wurlitzer electropneumatic relay and console continue to do their good service in this original installation organ. 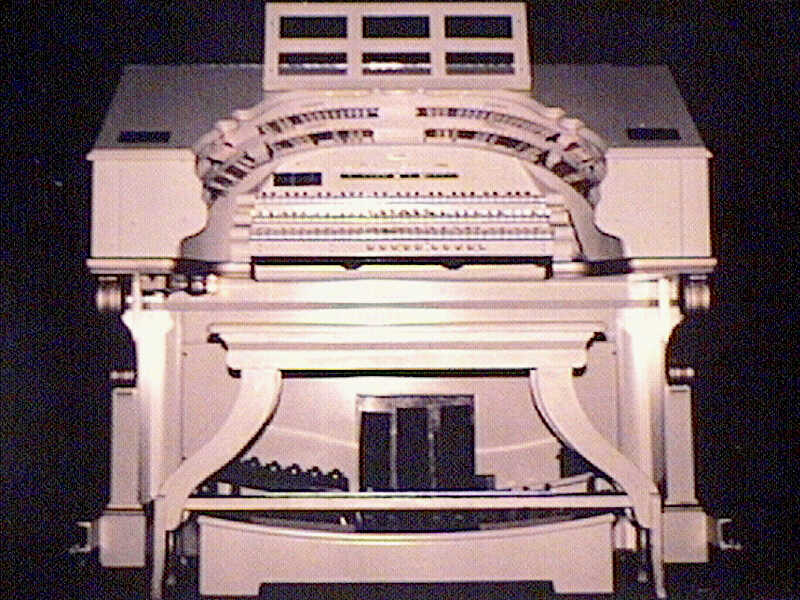 Of over 2000 organs built by Wurlitzer, there are perhaps fewer than 50 in company with the Los Angeles Orpheum Wurlitzer in having the dual distinctions of both remaining in their original installation homes and operating on their original electro-pneumatic relays and combination actions. The relay contains a multi-pole single-throw fast-operating key relay for every key and pedal in the console, plus a 61-(or 49- or 37-) pole single-throw switchbar relay for every tonal stop in the console. 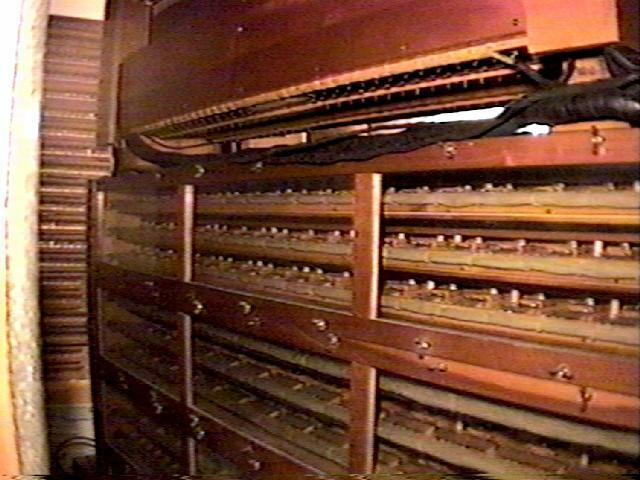 Every key relay, stop relay and windchest pipe pallet action uses an electromagnet and two-stage valve-and-pneumatic arrangement to provide fast-moving, low mass electrical contacts in the key relay or fast acting light-weight mechanical control of wind supply to each and every individual pipe and percussion in the organ. 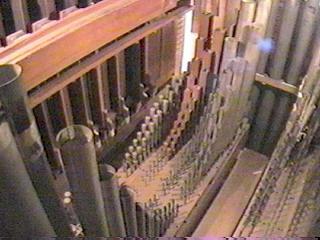 Additional relays and windchests inside the console permit the organist to change preset combinations of stops while playing by pressing pre-set thumb pistons. The motive power for all these fast-moving parts comes from the wind supply sourced by a 7-1/2-Horsepower blower in the basement of the theatre. Low voltage low power (1-Watt per electromagnet) electrical contact circuits are used for control but not in any significant way for mechanical power. Staff organists over the years have included Newell Alton, Henry Murtaugh, Eddie Eben, Price Dunlavy, William Denton and Robert York. Combined Orchestral and Organ silent movie accompaniment by Robert Israel and his Orchestra. 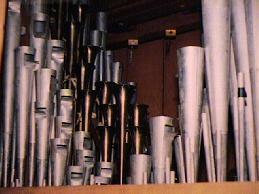 All Main chamber pipework on 10" wind except Vox, on 6"
Solo ranks from the side. All Solo chamber pipework (including added Post Horn) on 10" wind except Tuba and Tibia, on 15". All toys and traps on 10" wind. 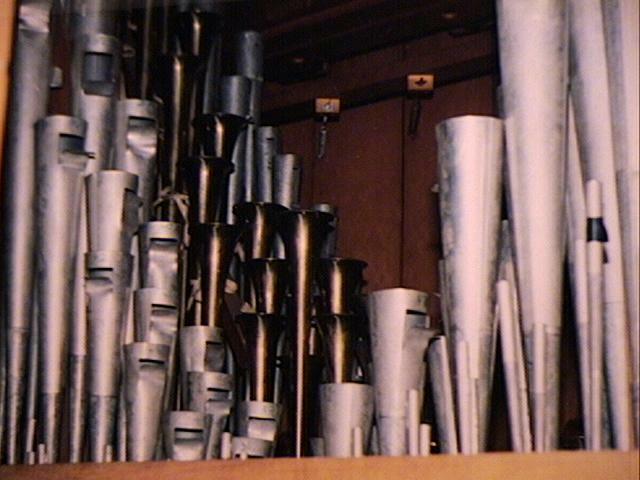 The organ would not be playing today were it not for restoration and conservative rebuilding work of Eugene F. Davis and volunteer crew, completed in 1982. Work included a complete releathering of the chests, relay and console. Tonally conservative modifications included additions to Tibia unification and some changes in the couplers. 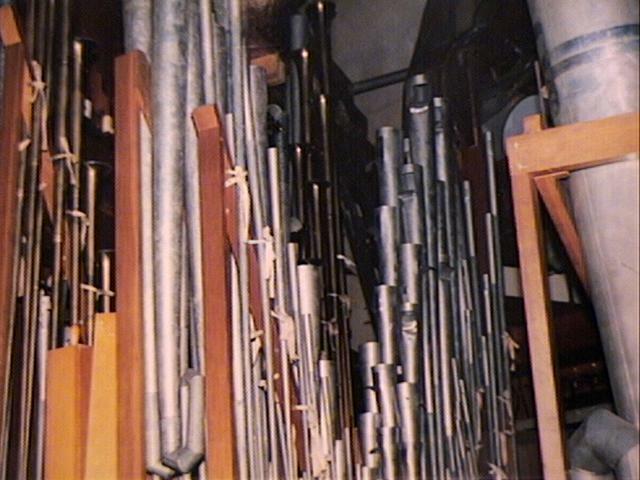 The organ is maintained under invitation of Steve Needleman by a volunteer crew including Arthur Omura, Steve Asimow, James Henry, Steve Asimow, and others. The crew chief is John Koerber. Prior volunteer Crew Chiefs include Cliff Schwander, Bob Busch, Eugene Davis, Chuck Malone. Get to Los Angeles, California, USA. From the 110 (Harbor) Freeway, take the 9th Street exit (north of the 10, south of the 101 freeways). Go east, several blocks. At Broadway, turn left and proceed halfway up the block. Entrances to parking lots are on both the left and right sides of Broadway just past the Orpheum marquee. Parking is usually $10 on weekdays, $5 on weekends. There is additional parking available from Spring Street between 8th and 9th street behind the theatre. The American Theatre Organ Society (ATOS) oversees local chapters and provides a view of Theatre Organ events all across the USA, the UK and Australia. The El Capitan Theatre in Hollywood presents Walt Disney features, series and special events. Organists Rob Richards, John Ledwon and Ed Vodicka preside at the meticulously installed and maintained 4 manual 36+1 rank Wurlitzer, originally from the San Francisco FOX Theatre. This instrument has a special place in Theatre Organ history, and is the most frequently presented instrument in Southern California. The Orange County Theatre Organ Society presents Theatre Organ events at the 4 manual 35 rank Louis E. Plummer Theater Wurlitzer in Fullerton. The Santa Barbra Theatre Organ Society presents Theatre Organ events at the Arlington Theatre on the 4 manual 28 rank Great Theatre Pipe Organ of the Arlington, a Robert-Morton "Wonder Morton" organ originally from Loews Jersey City Theatre, and one of only 5 such instruments made. The Old Town Music Hall operates in El Segundo as a non-profit preservation organization presenting classic sound and silent movies, sing-alongs, music festivals and traditional organ entertainment utilizing a 4 manual Wurlitzer with core pipework and components originally from the FOX West Coast Theater in Long Beach and console from the Los Angeles Paramount Theater. Email John Koerber (jkoerber@ix.netcom.com) for additional info about the Los Angeles Orpheum Theatre Wurlitzer.